This original and exciting Bangladesh tour takes in all of the country’s highlights and undiscovered gems in just over two weeks. 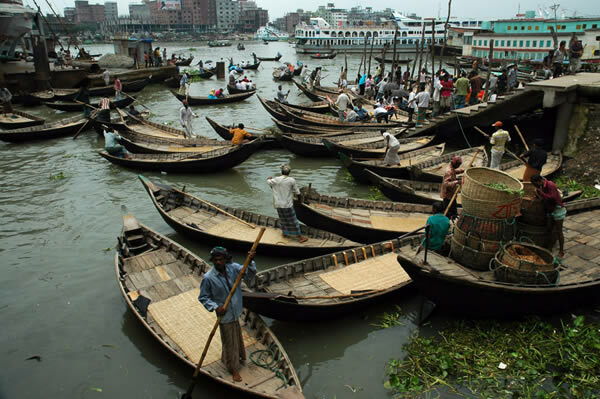 In spite of being one of the poorest countries in the world, Bangladesh is one of the most interesting, exciting and memorable countries one can ever travel to. We will see virtually everything in this truly pulsating and little-visited nation while enjoying the unparalleled friendliness and hospitality of the Bangladeshi people. As a country full of vibrant colors and life, photographers will find no shortage of material to work with, whether they be wildlife/birds, river landscapes, historic mosques, endless tea plantations, or hundreds of smiling faces. ** This tour may also be arranged privately for 3 or more travelers on any dates. Please contact us for quotes. 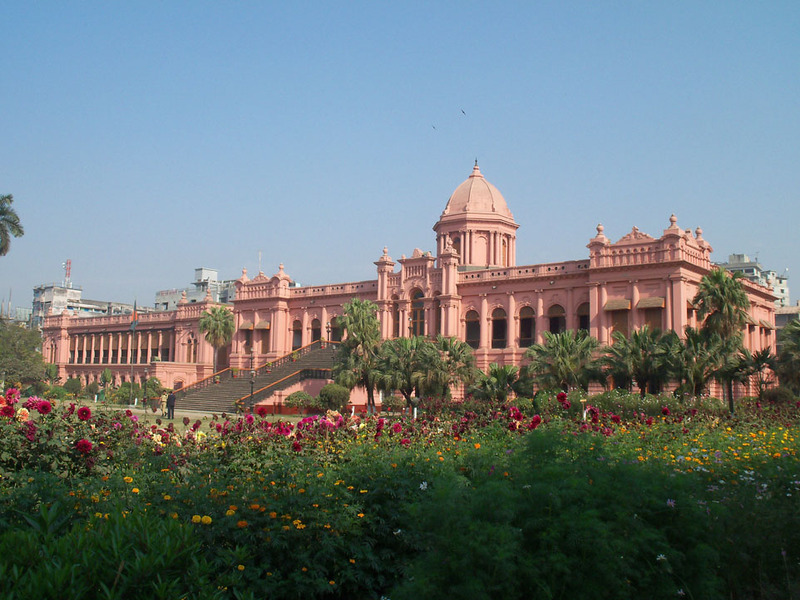 We begin our Bangladesh tour with an arrival into Dhaka, where you will be met and transferred to our hotel. 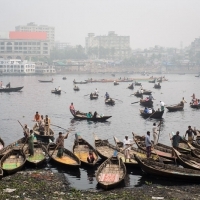 After lunch, we will take a panoramic tour of busy Dhaka and visit Jahangirnagar University, which is known for its ponds full of migratory birds. We then will head to a pottery village to experience the traditional technique of pot-making. On the way back, we will stop at the National Martyrs Monument, built in memory of those who lost their lives during the 1971 Liberation War. 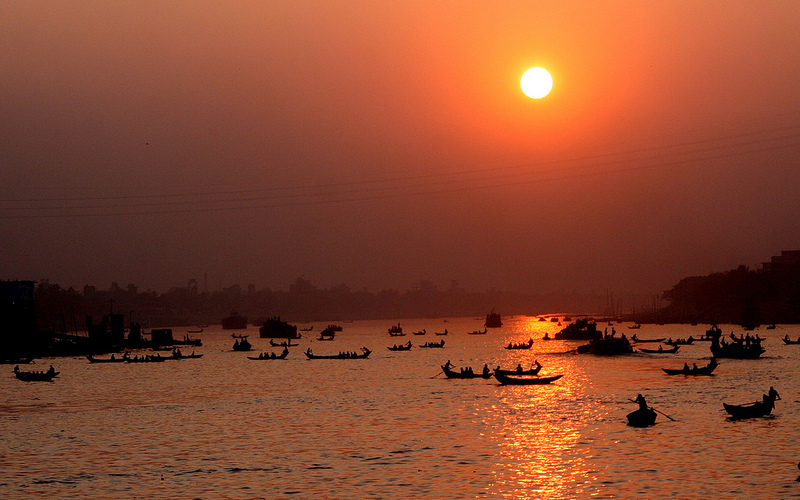 Back in Dhaka in the early evening, we will have dinner at a local restaurant and watch the sunset. Overnight in Dhaka. 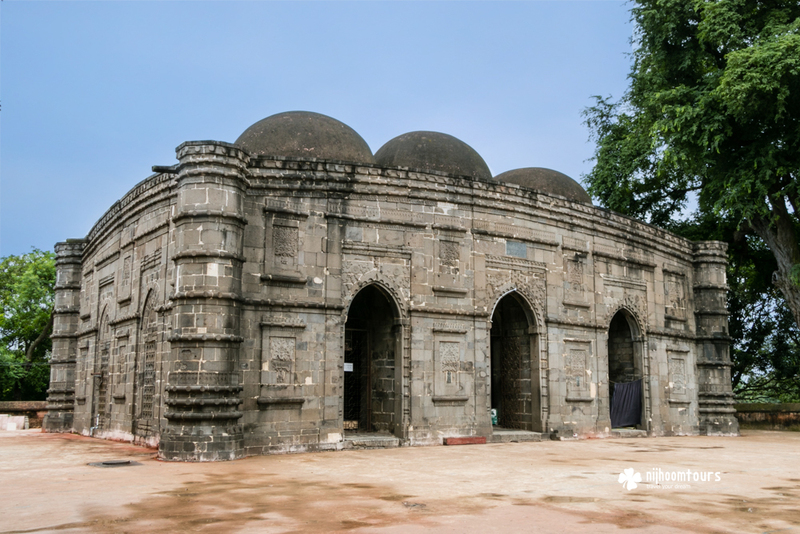 This morning on our Bangladesh tour, we will visit the interesting old parts of town: the Sadarghat river port, the Pink Palace, Shakhari Bazaar (Hindu Street), the Star mosque, Lalbagh Fort, Dhakeswari temple, and the Shaheed Minar Monument, followed by lunch at a local restaurant. 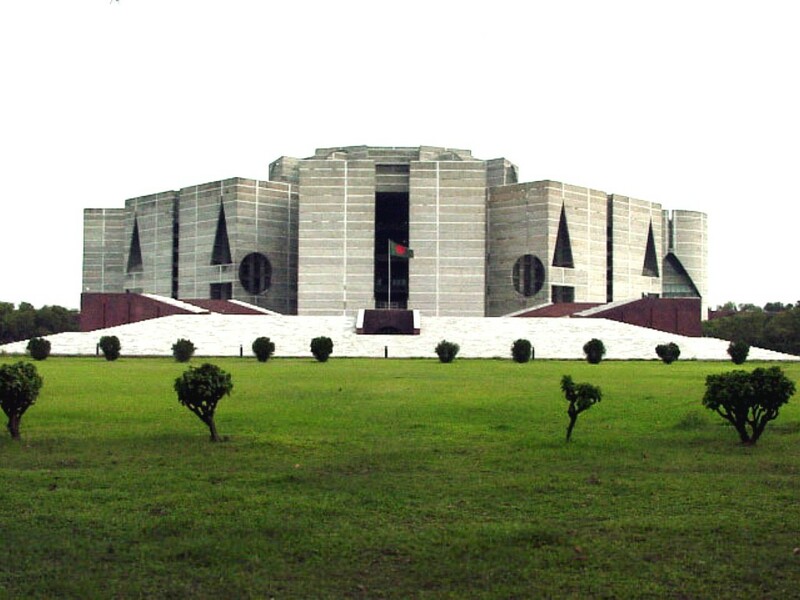 Later, we will continue our encompassing Dhaka tour with a visit to the National Parliament House – designed by the celebrity architect, Louis I Kahn, Dhaka University, Curzon Hall, and the The Mausoleum of three leaders. Dinner at a local restaurant and overnight at Dhaka. After an early breakfast, we will drive to Sylhet, en-route visiting Sonargaon, the old capital of Bengal situated in the center of the Ganges delta. 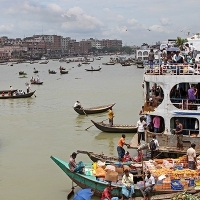 We then will continue driving to Sylhet, with more stops along the way at interesting markets. Arrive in Sylhet in the afternoon. After lunch, we will visit the Malinichara Tea Garden – the oldest and the biggest in the sub-continent. Here, we will meet the managers to learn more about Bangladesh tea. 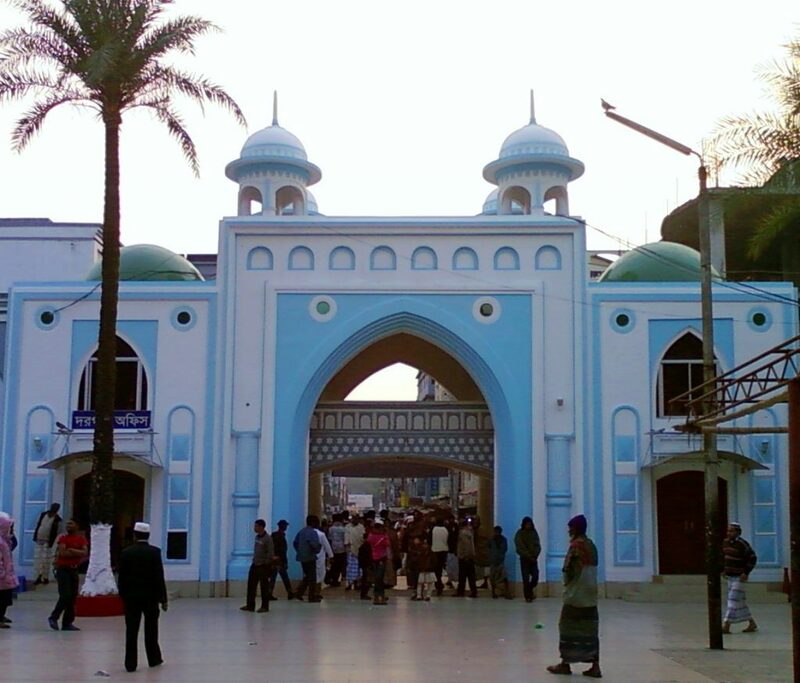 Then we will visit the Shrine of Hazrat Shahjalal – who came from Yemen and settled in Sylhet. 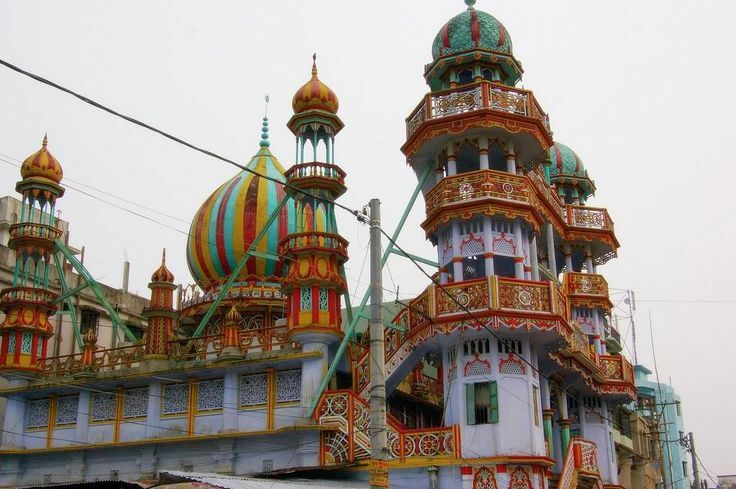 People of all religious belief visit this shrine, seeking a blessing. Back to hotel in the early evening, dinner and overnight at Sylhet. 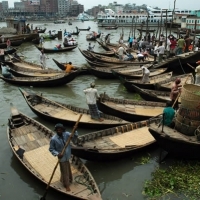 This morning of our Bangladesh tour, we will have an early breakfast and drive to Ratargul Swamp Forest, where we will explore it by hiring local boat. 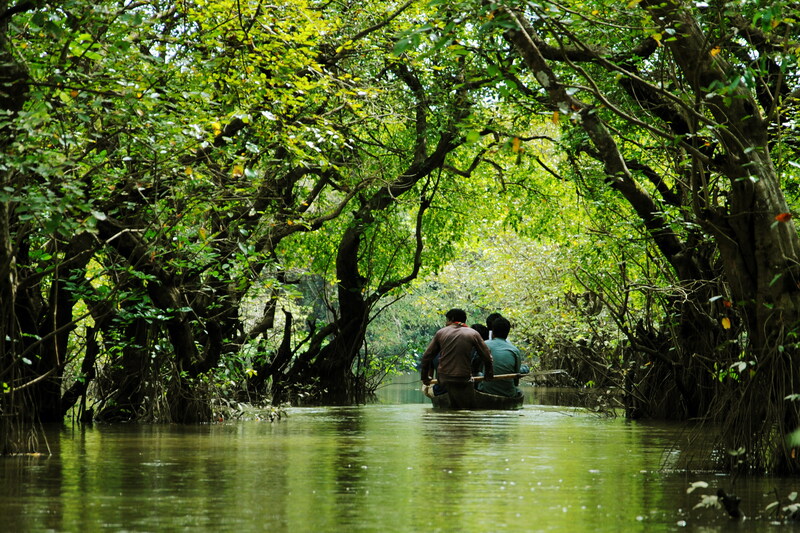 During the monsoon, Ratargul Forest takes on an amazing look as the water level rises. 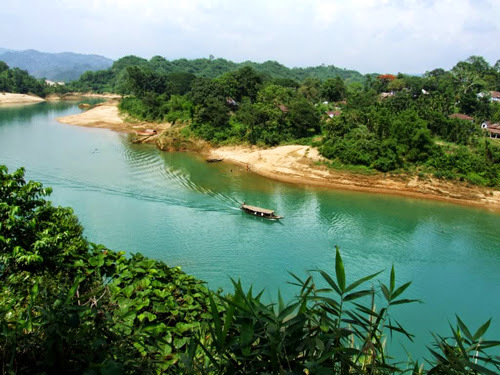 Then we will move to Tamabil-Jafflong, on the border with Meghalaya (Assam), India. 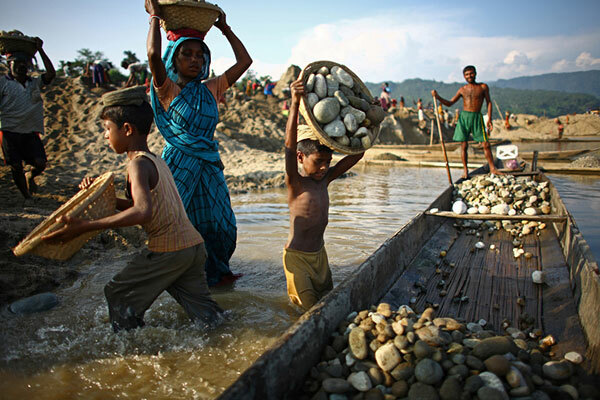 While visiting Jafflong, we will find hundreds of people collecting stones, boulders, and sands from the Piune River flowing from India to Bangladesh. These are quality building material with high demand. 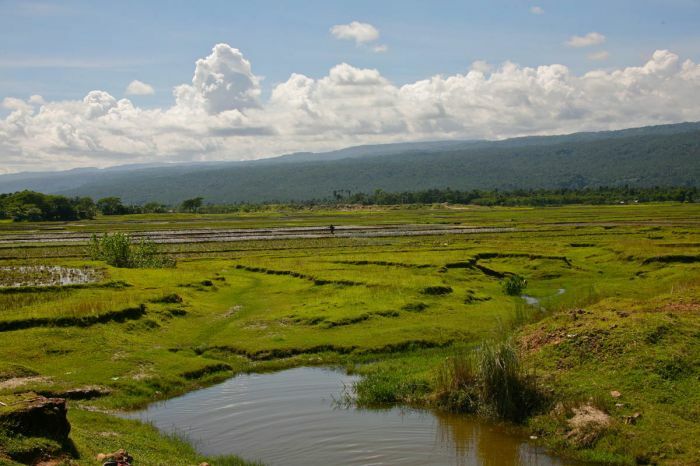 On way back to Sylhet, we will stop in Jaintia to visit the ruins of the Jaintia Kingdoms, including the monolithic stones. Next, we will stop at the Sari River to take a boat cruising (using a motorized wooden boat) on the blue-water canal, Lalakhal. We’ll reach the end of the canal close to Indian border and back, which will be about a 2.5 hrs pleasant sailing. Finally, we will visit a tea garden on the way to Sylhet. Dinner and overnight in Sylhet. 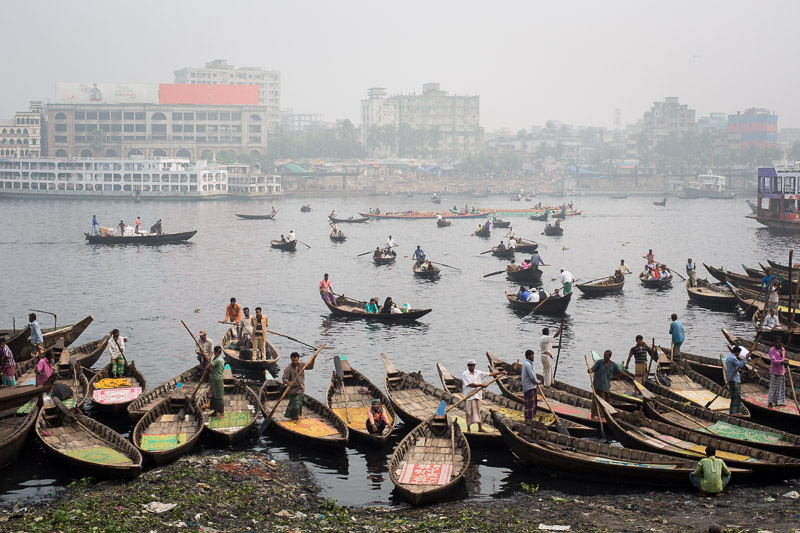 We venture out today on a roughly 2.5hr drive to Sunamganj, and where we will enjoy a full day on simple boats out to Tanguar Haor, a top biodiverse hotspot in Bangladesh, and one of the largest Haor (River Basin) of Bangladesh. Every year during winter, different species of migrant birds come from colder places. 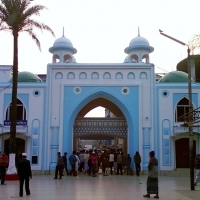 In the late afternoon, we will return back to Sunamganj and drive back to Sylhet. Dinner and overnight in Sylhet. 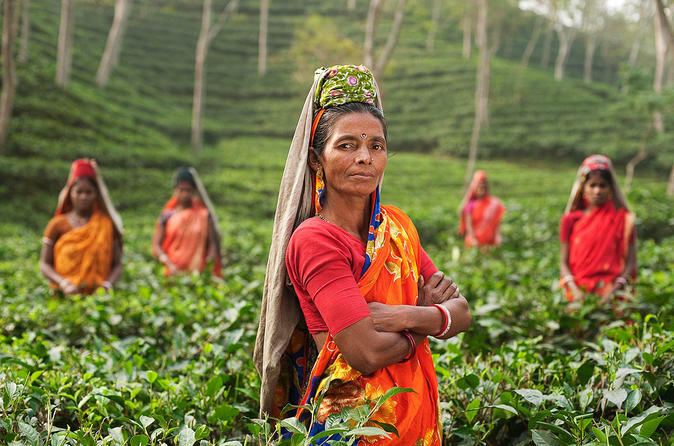 This morning on our Bangladesh tour, we will drive roughly 3hrs to Srimangal; the Tea Kingdom of Bangladesh, and well-known for its high of tea gardens. 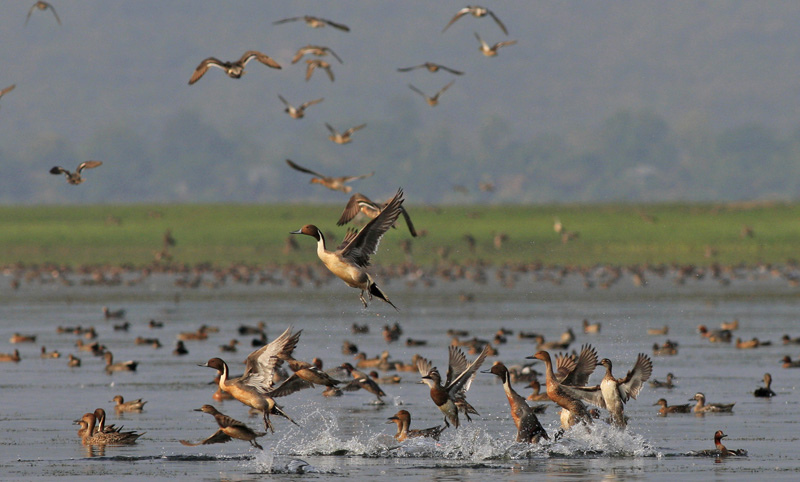 After exploring and photographing the stunning tea gardens that abound, we will check into our hotel and have lunch, then drive to the nearby Baikka Beel, where birds will enjoy the diversity of interesting species, and every year during winter a lot of vagrant birds from Siberian areas come to this beel, stay the complete winter and leave around March. Dinner and overnight at Srimangal. 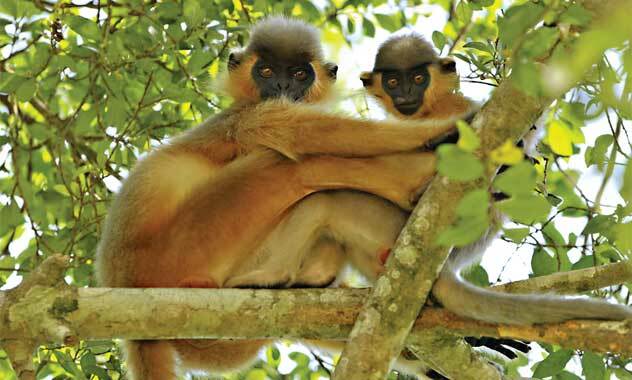 We venture out today to visit the Lawachara National Park, looking for Hoolock Gibbons (rare species), various monkeys, and resident birds, as well as experiencing the forest itself. Then trek to Khasia Punji to meet the Khasi tribal people and interact with them to experience their lifestyle. This group mainly depends on the ‘Betel Leaves’ cultivation. Moreover they cultivate lemon, pineapple, etc. 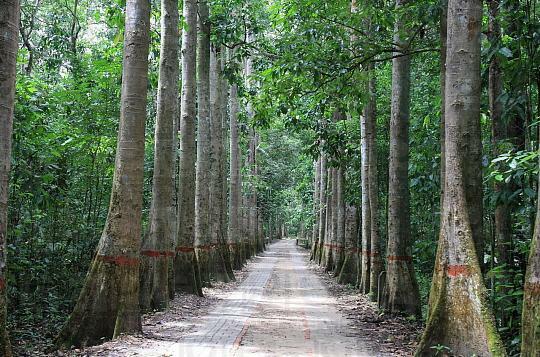 Later we will also visit the Satchari National Park (formerly known as the Telepara Forest Reserve), and although less popular than Lawachara, it is a superb slab of tropical forest with a higher diversity of plants and animals than Lawachara. 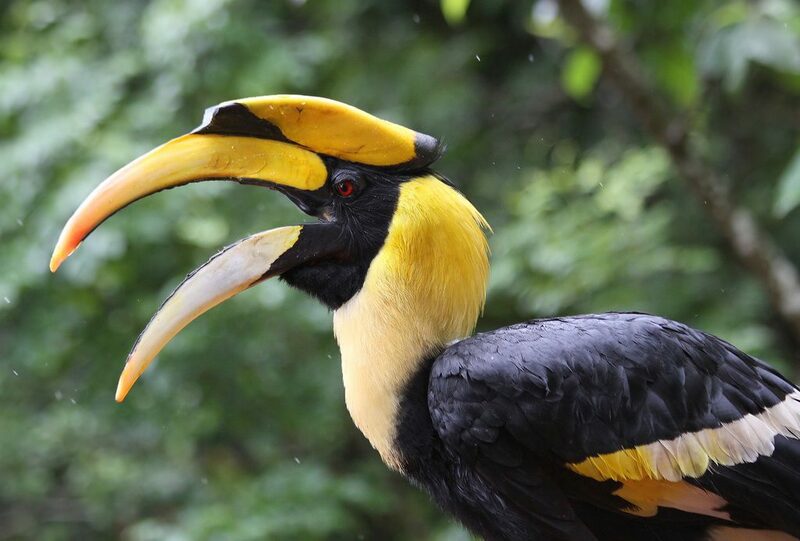 There are a number of marked walking trails of between 30 minutes and three hours, seven streams, a population of Hoolock Gibbons, fishing cats, Phayre’s langur, jungle fowl, pygmy woodpeckers and oriental pied hornbills. Back to hotel in the early evening. Dinner and overnight at Srimangal. This morning of our Bangladesh tour, we will visit the Rema-Kalenga Wildlife Sanctuary, a dry and evergreen forest and the second largest natural forest in Bangladesh after the Sundarbans. 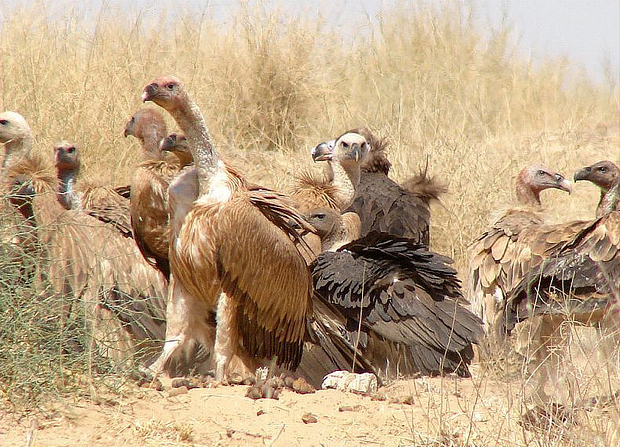 It is also the country’s second largest wildlife sanctuary and the richest in terms of biodiversity. 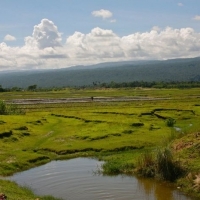 We will have a full day set aside to explore it and see its wildlife. 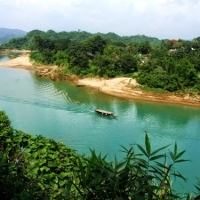 We will also visit Monipuri village to experience their lifestyle and colorful weaving. Dinner and overnight at Srimangal. Early breakfast and visit Tea Gardens and to experience the traditional ‘Tea Plucking’. After an early lunch, move to the Srimangal Railway Station to board our train, the Paharika Express, for Chittagong. Upon arrival, dinner at a local restaurant and then check in to our hotel. 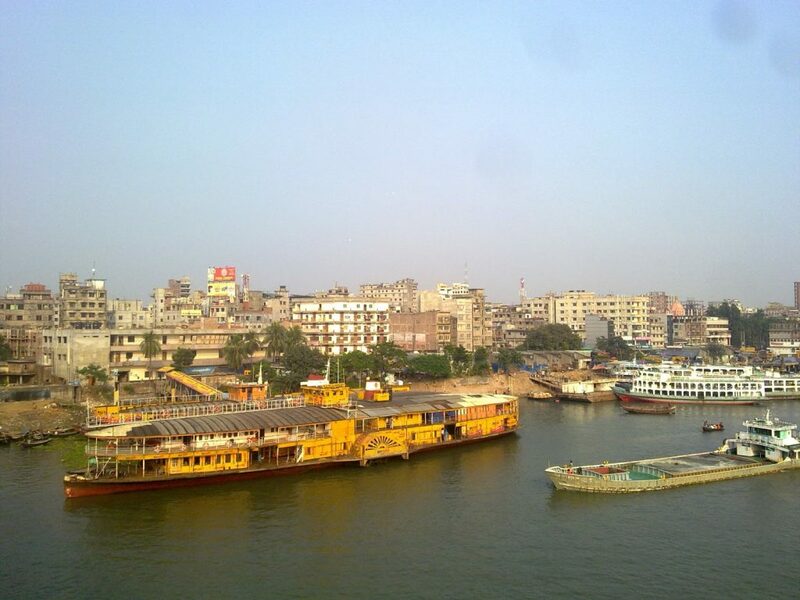 Overnight in Chittagong. 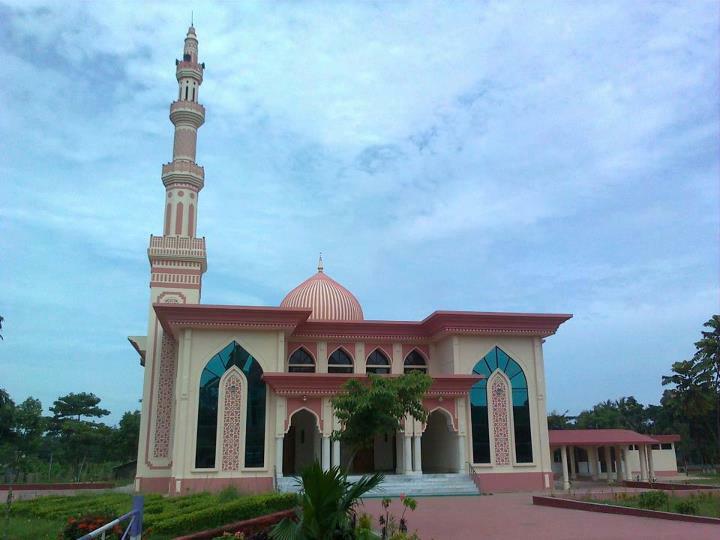 This morning on our Bangladesh tour, we will have an early breakfast at our hotel and then set out on a city tour, visiting: the Ethnological Museum; the World War II cemetery (Chittagong War Cemetery); the Shrine of Hazrat Bayazid Bostami, and after an early lunch, drive to Cox’s Bazar. 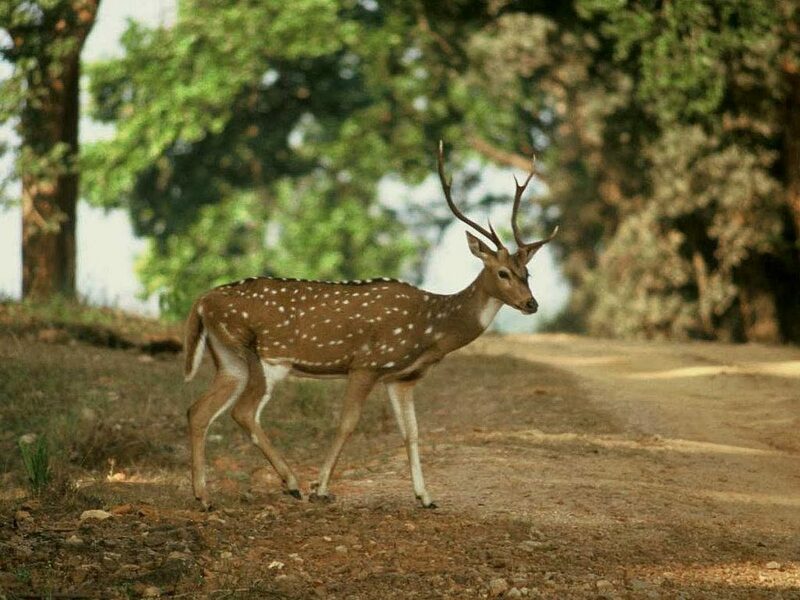 En route, we will visit the Chunati Wildlife Sanctuary, the first wildlife sanctuary in the country and is home to a wide diversity of birds and mammals, where we will take a walking tour around the nature trails. 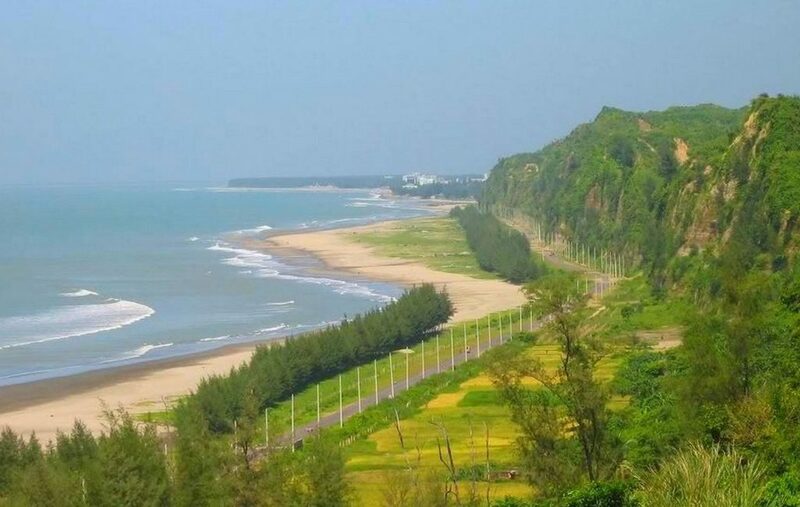 On arrival at Cox’s Bazar, we will visit the longest beach in the world and make a sweep through the city. Back to the hotel after enjoying a gorgeous sunset from the beach. Dinner and overnight at Cox’s Bazar. 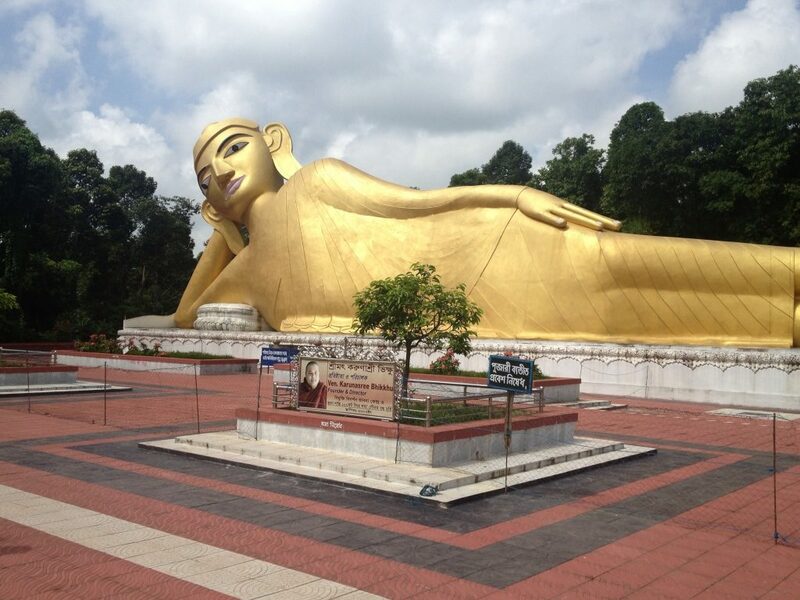 This morning we will visit some of the highlights of Cox’s Bazar, including the Buddhist Pagoda, and then transfer to the airport for our short flight up to Dhaka. Upon arrival at Dhaka, we will drive roughly 4.5hrs north to Bogra. Dinner and overnight at hotel. 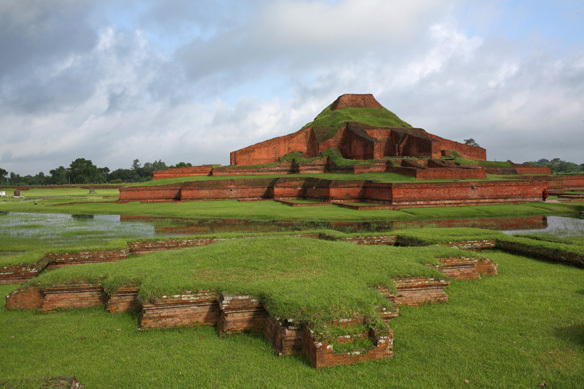 This morning on our Bangladesh tour, we will visit Mahasthan Citadel, then drive around 2hrs to Paharpur to explore the Ruins of the Buddhist Vihara at Paharpur, a UNESCO World Heritage Site dating back to 7th to 11th century. 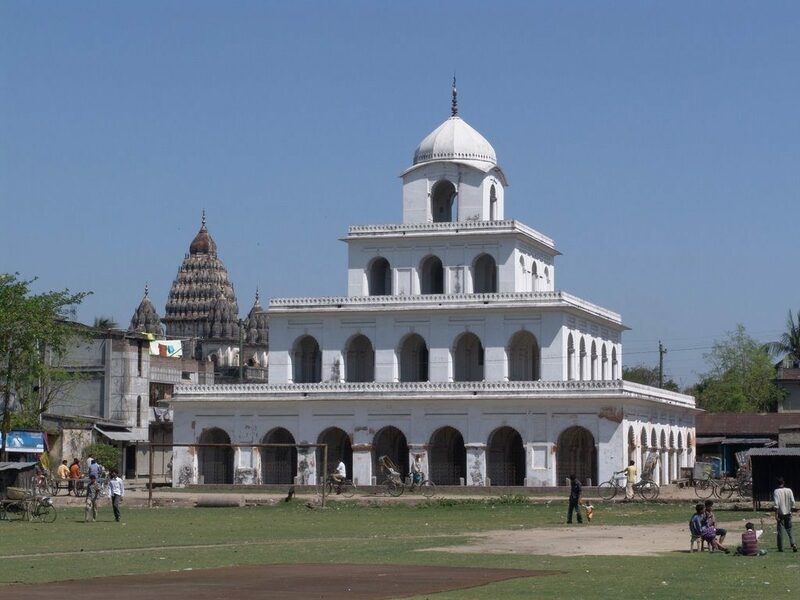 Lunch at a local restaurant and then move to Rajshahi, en route visiting the Kusumba Mosque, built in the late 1500s. Upon arrival in Rajshahi, and time permitting, we will visit a silk processing factory to learn about this craft. Dinner and overnight in Rajshahi. After an early breakfast, we will head out to visit the stunning Puthia Temple Complex, where we will explore the various and majestic Hindu temples. 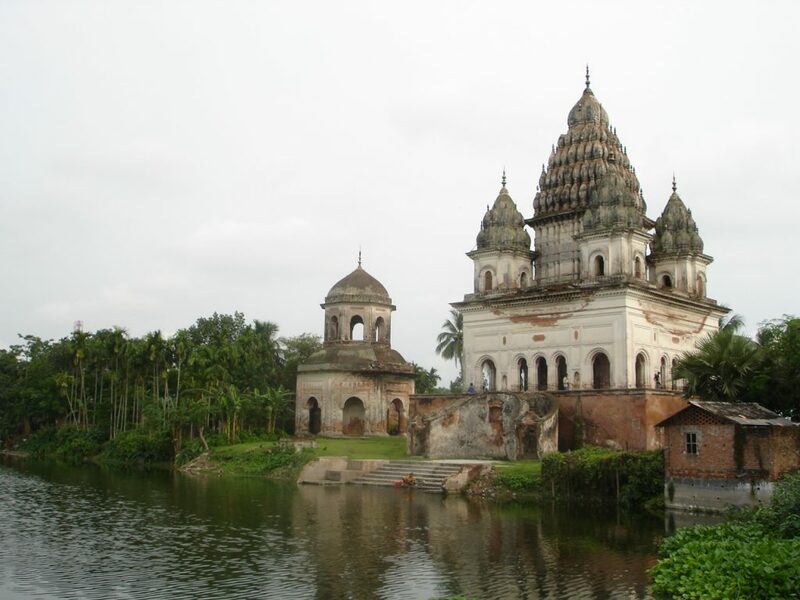 Laid out around a lake, the temples were built in terracotta in a variety of styles combining the typical Jor-bangla architecture with other influences. 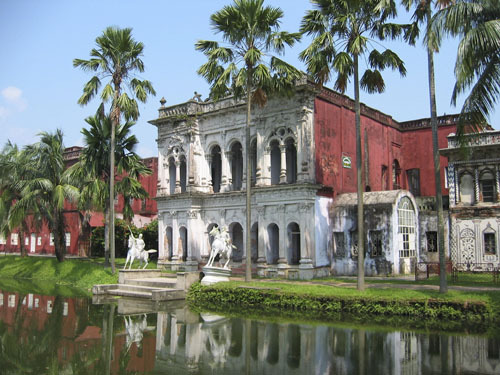 The Puthia Royal Family estate was the second largest zamindary and the wealthiest in British Bengal. After India’s partition, the then Pakistani government abolished the zamindary system and confiscated all Hindu properties. Next we will continue driving to Khulna. Dinner and overnight in Khulna. 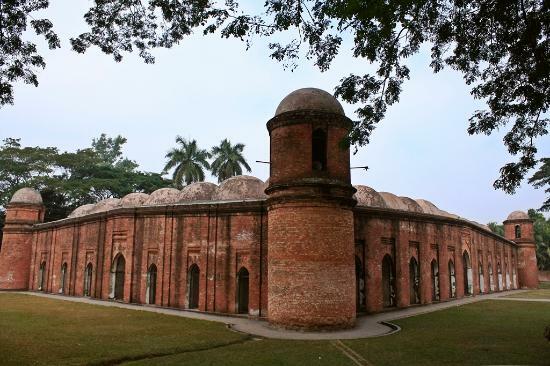 This morning we will drive to the Mosque city of Bagerhat, a UNESCO World Heritage Site. The historic city, and one of the 15 lost cities of the world, has more than 50 Islamic monuments which have been found after removing the vegetation that had obscured them from view for many centuries. After this interesting visit, we will move on to Mongla to board the vessel for cruising in the Sundarbans, also a bio-diverse UNESCO site and a true highlight of any Bangladesh tour. Our vessel will cruise inside the Sundarbans and stay overnight near a forest office. Our accompanying guide will offer us different activities — including visiting the interior of the forest, looking for birds and wildlife, trekking through the forest, and making trips through the small canals by hand-rowing boat, among others. Overnight on the boat inside the Sundarbans. 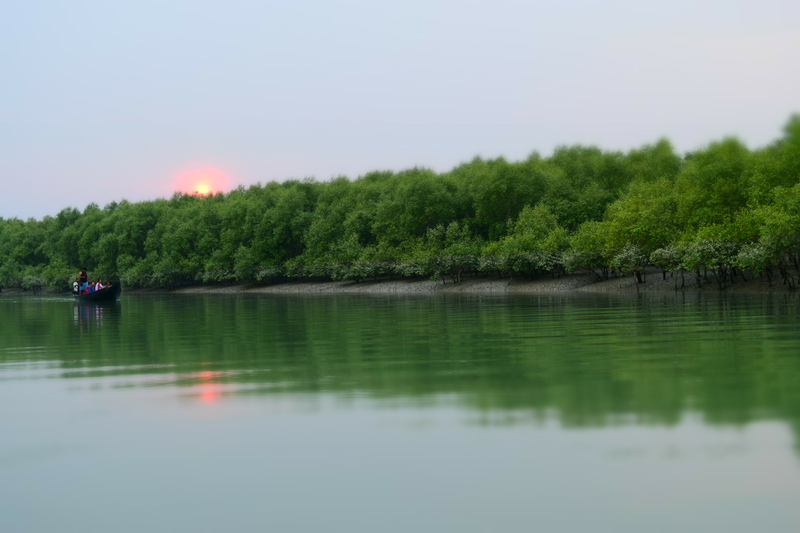 This morning in the Sundarbans, we will have various activities available again to suit all interests, including visiting the forest to see spotted deer, monkeys, wild boars, crocodiles, and different species of birds. We will also visit the Karamjal Forest Station to experience the mangrove vegetation and its wildlife center where spotted deer, monkeys, and crocodile are being reared by the forest department. Overnight on the boat in the Sundarbans. We will wake up early to catch the stunning sunrise over the Sundarbans and then enjoy a breakfast before our transfer to Morelganj to board the legendary Rocket Steamer for Dhaka, where we will have first-class cabins and travel among the friendly locals. 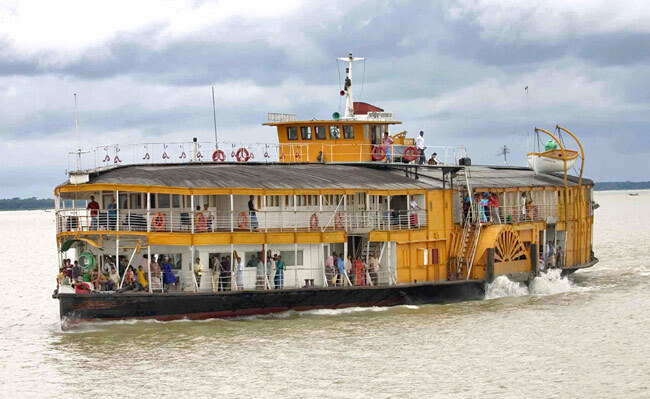 The Rocket Steamer is a photographers dream and will pass through rural Bangladesh and call at number of ports in its route, and is to some one of the most interesting travel experiences you can ever have. Overnight on the Rocket Steamer. 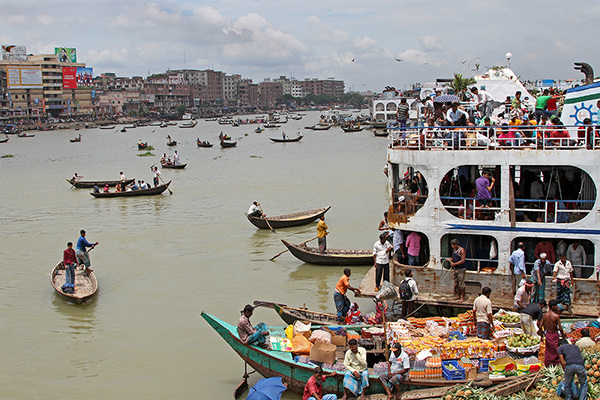 On our last morning of our exciting Bangladesh tour, our Rocket Steamer will arrive at Sadarghat port in Dhaka in the morning and we shall transfer to the airport for our onward connections.